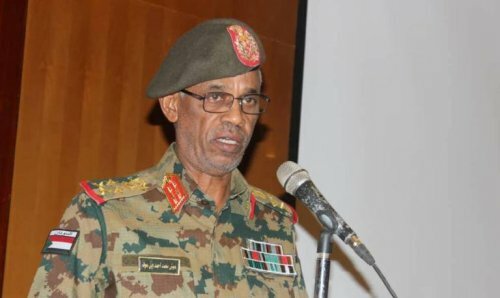 Sudan’s Defence Minister General Awad Ibn Ouf has stepped down from his position as head of the Transition Military Council on Friday night and appointed a new general to replace him: General Abdul Fattah Al-Burhan. The announcement comes after his rejection by the Sudanese protesters led Sudanese Professional Association and its allies of the Freedom and Change forces 24 hours after the overthrow of the former president, Al-Bashir. In a statement broadcasted via the official TV and Radio stations on Friday evening Ibn Ouf, 65, announced that he decided to resign from his position as head of the Transitional Military Council. He also relieved his deputy and chief of the general staff Kamal Abdul Marouf who also was perceived as part of the regime of the former President Omer Al-Bashir. Also, Ibn Ouf announced the appointment of General Abdel Fattah al-Burhan, a new head of the transitional military council. Al-Burhan who is not an Islamist is widely accepted by the army. He served as the army’s general inspector and commander of the ground forces. Thousands of Sudanese took to the street in the night to express their joy for his resignation. Ibn Ouf who is on the list of US sanctions for his alleged role in Darfur war crimes stated on Friday that al-Bashir would be handed over to the International Criminal Court increasing his unpopularity among the Sudanese. The Sudanese Professionals Association called on the protesters to remain mobilized awaiting al-Burhan’s position from the demands of the forces of the Freedom and Change Declaration. The Sudanese opposition groups call for a peaceful transfer of power to the political forces. The Transitional Military Council (TMC) on Friday has expressed readiness to form a civilian government and reduce the transitional period in agreement with the political forces. Speaking at a press conference in Khartoum, the head of the TMC political committee Omer Zain al-Abdin said the upcoming government would be “civilian”, pointing out that it would be formed by the consensus of the political forces. He added the military wouldn’t intervene in the formation of the government nor will it appoint any of its members, saying the armed forces would only maintain the defence and interior ministries in order to counter any security challenges. He pointed that the TMC would consult with all political forces except the former ruling National Congress Party, saying the “TMC supports the demands of the people and seeks to arrange the peaceful transfer of power”. He pointed out that the Defence Minister Awad Ibn Ouf, the director of the National Intelligence and Security Services Salah Gosh, the Police Director Al-Tayeb Babiker and the commander of the Rapid Support Forces Mohamed Hamdan Doglo have led the change despite being part of the former regime. Zain al-Abdin has dismissed all accusations that the TMC is a puppet of the former ruling National Congress Party as mere “lies”, saying they are the sons of the armed forces. He stressed that the TMC is open to discussions and consultations on reducing the transitional period, saying it could be reduced to one month if all political parties agreed to do so. He expressed willingness to negotiate with the youth who are holding a mass sit-in in front of the military headquarters to listen to the views. Commenting on the fate of the deposed president, Omer al-Bashir, Zain al-Abdin said he is being detained without giving further details, pointing the majority of the figures of the former regime have been arrested. Meanwhile, the Sudanese Professionals Association (SPA) has rejected the offer of the TMC describing it as “absurd deception”. 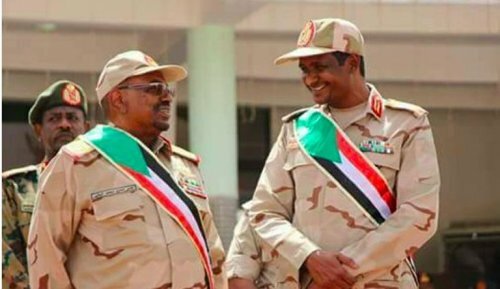 In a statement seen by Sudan Tribune, the SPA said: “what took place was nothing but changing of masks to maintain the same regime that the people sought to overthrow and uproot”. “Our demands are clear, fair and legitimate, however, the old coupists in their new masks are not capable of making change and they only seek to cling to power regardless of the safety of the country, and that is why they wouldn’t respond to the peaceful demands including the immediate handover of power to a transitional civilian government”. The SPA underscored determination to resist the state of emergency and the curfew besides all restrictive orders issued by the coupists. The commander of the government militia Rapid Support Forces (RSF), Mohamed Hamdan Daglo (aka Hemitte), has refused to participate in the Transitional Military Council which took over power following the ouster of former President Omer al-Bashir. On Thursday, the Defence Minister and First Vice- President Awad Ibn Ouf overthrew President Omer al-Bashir and announced his arrest in a safe place. He said the Supreme Security Committee, including the armed forces, the National Intelligence and Security Services (NISS), RSF and the police took full responsibility for changing the whole regime during a two-year transitional period. In a statement published on the RSF webpage on Friday, Hemitte said: “I’d like to announce to the Sudanese people that I, in my capacity as commander of the RSF, have refused to participate in the military council since 11 April”. He pointed out that RSF would remain part of the armed forces and would work to maintain the unity of the country and respect for human rights. Hemitte added his forces would continue to side with the choices of the Sudanese people. On Friday, the military information department said the formation of the military council has been delayed for further consultations. It is noteworthy that the militia commander on Thursday issued a statement in which he stressed support for the people’s demand of handing over power to a civil transitional government, saying the RSF rejects any solutions that don’t meet the desires of the Sudanese people. He also asked the leaders of the Sudanese Professionals Association and the various opposition parties and the youth to open the door of dialogue and engage in negotiations to achieve solutions that satisfy the desire of the people and protects the country against from sliding into chaos. 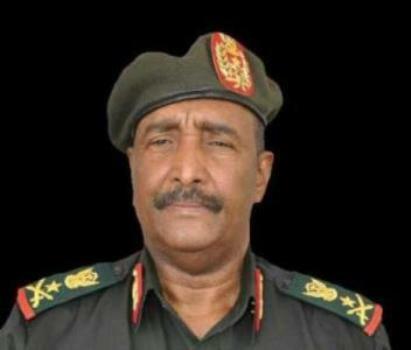 Sudanese Defense Minister First Vice- President Awad Ibn Ouf overthrew President Omer al-Bashir and announced his arrest in a safe place. The opposition alliance Sudan Call has condemned the military coup in Sudan and accused the "Sudanese Islamic movement military wing" of seizing the power to reproduce the old regime. 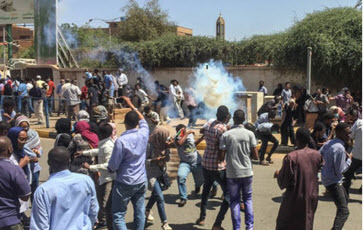 The Central Committee of Sudanese Doctors (CCSD) on Sunday said 6 protesters have been killed during the protests and the sit-in in front of the Sudanese army headquarters. On Saturday, the opposition forces declared a general strike as well as an open-ended sit-in in front of the General Command of the Sudan Armed Forces (SAF) demanding the removal of the regime of President Omer al-Bashir. The CCSD on Saturday said two protesters have been killed in West Darfur State and Khartoum’s twin city of Omdurman. In a statement on Sunday, the CCSD said three more protesters have been killed including Amro Gamal, Maab Hanafi and Ahmed Ibrahim Tabidi besides an unidentified protester, pointing that several protesters have sustained serious injuries. Two people were killed in Khartoum and West Darfur by live bullets on Saturday during the anti-government protests, said the Central Committee of Sudanese Doctors (CCSD). In a statement seen by Sudan Tribune, the CCSD said the killing of the peaceful protesters would only hasten the victory of the revolution. Reliable sources told Sudan Tribune that a medical laboratory doctor named Al-Muiz Atta Allah Musa, died of his wounds after being shot by live bullet in Khartoum’s twin city of Omdurman. Also, multiple sources in West Darfur State said a woman was killed at the Khams Dagai’g camp for Internally Displaced Persons (IDPs). Following the killing of the IDP, large protests erupted in west Darfur capital of Zalingei prompting security forces and the police to use teargas to disperse it. On Saturday, thousands of Sudanese staged protests in Khartoum and several states demanding the downfall of the regime of President Omer al-Bashir. Deadly protests have rocked Sudan since December 19, with demonstrators holding almost daily nationwide rallies calling on Bashir to resign. The government said 31 people have died in the violence, while Human Rights Watch (HRW) put the figures at 51 . Also, dozens of demonstrators were injured and hundreds others arrested during the protests which are now banned , unless a permit is given, under Bashir emeregncy declaration issued last month. 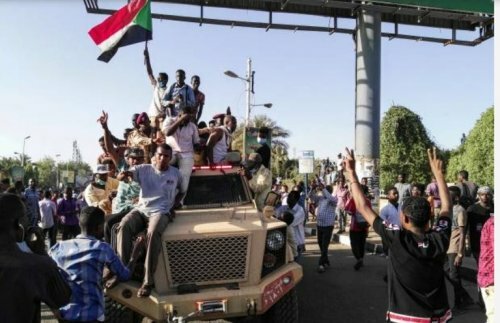 Thousands of Sudanese staged protests in front of the General Command of the Sudan Armed Forces (SAF) demanding the removal of the regime of President Omer al-Bashir. Last week, the opposition forces of the Declaration of Freedom and Change (DFC) called on the Sudanese to join the April 6 rally heading to the SAF command to demand that the army side with the protesters. Since the early hours of Saturday, Sudanese authorities sealed off the bridges leading to the capital to prevent protesters from joining the rally. However, thousands managed to break the siege and poured into the streets of downtown Khartoum and managed to arrive at the SAF command. Security forces and police fired teargas to disperse protesters who gathered in front of the SAF command but army officers reportedly intervened to stop the police action. Also, thousands of protesters have taken to the streets at a number of states including Kassala, Port Sudan, Gezira, River Nile, West and South Darfur. Following the rally, DFC issued a statement declaring an open-ended sit-in in front of the SAF command and called on all Sudanese to join . 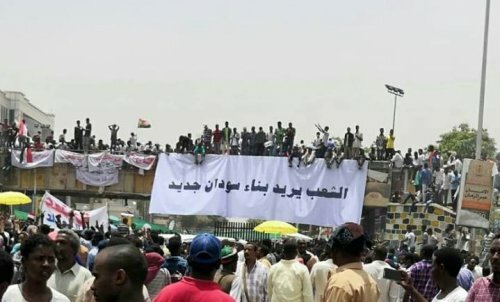 This is the longest streak of protests in the history of Sudan which now entered its 4th month. Last February, President Omer al-Bashir declared a state of emergency in a bid to end it but the demonstrations have continued unabated. Mr Bashir has refused to leave, saying opponents should seek power through elections. The army has not intervened. Security forces have fired tear gas to try to disperse protesters outside the army compound in the capital, Khartoum. In previous protests they have also used stun grenades and live bullets. Dozens of demonstrators have been killed.